Seven! It’s never been so close. I leave for Philadelphia for training on May 18 – a week away. I’m finished with my finals, and besides a few hours at work, I’m relaxing for the rest of the week. I’m at the point where I’m more nervous than excited to go for the summer. My junior year at Bona’s has been more than awesome, and I’m not sure if I’m ready for it to end. 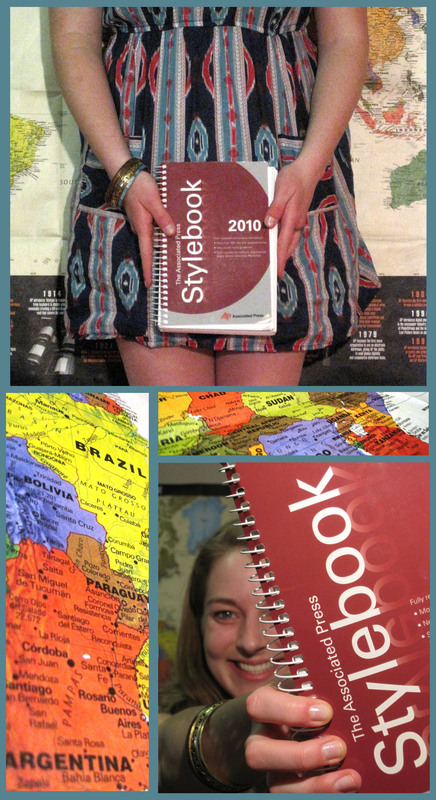 On a better note, my sweet professor got me a copy of the 2010 AP Stylebook I’ve been needing! Time to start memorizing!